Take a look at my breakfast, lunch and dinner. The photo above is pretty much what my day looked like. 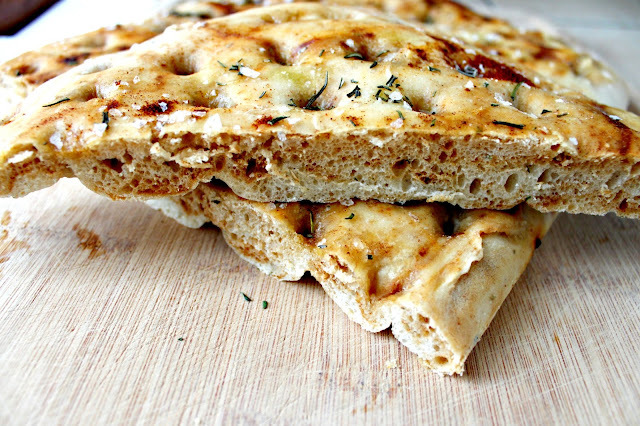 I was met with a slice of focaccia at every turn Each time I went to make something to eat, I took a diversion and somehow ended up at the bread bin cutting another slice of it. Breakfast was going to be a bowl of toasted muesli, until I was standing next to the toaster, impatiently drumming the fingers of one hand on the counter, a butter knife in the other, waiting for the toasted focaccia to pop. Lunch was going to be a chicken salad, until I was halfway through a cheese filled slice before I noticed. Dinner was a going to be pasta until I was making crostini with it. This is the start of my day, the end of my day and pretty much everything in between. If you're like me, a complete push-over for carbs, then hello... I love you. Whisk the yeast and warm water together in a small bowl and leave for about 10 minutes to activate. Put the flour and salt into the bowl of an electric mixer with the dough hook attachment. Add the yeast mixture and mix to combine on low speed. 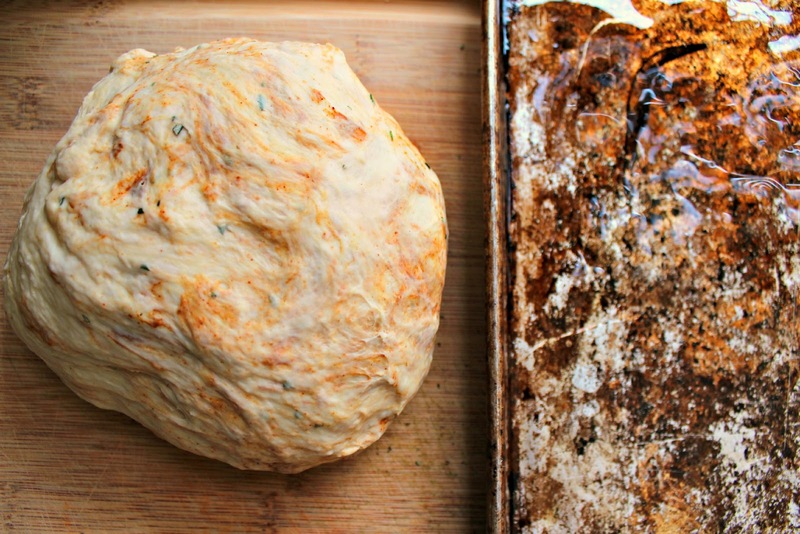 Once combined, increase the speed to medium-low and mix for about 5 minutes, until you have a smooth dough. 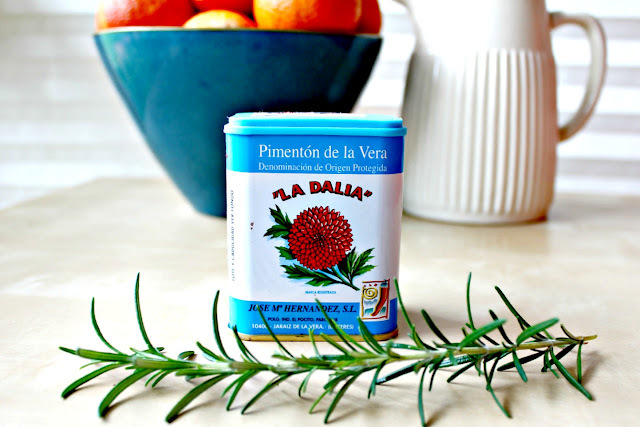 Sprinkle on the paprika and rosemary and mix again briefly to incorporate. Brush a large baking tray with a little oil. Turn the dough into a work surface and shape into an oval. Use a rolling pin to roll to out the a rectangle of around 25 x 40cm, then lift onto the tray. Cover with a clean tea towel and leave to rise in a warm place for about 1 hour, or until doubled in size. Use your fingertips to make indentations in neat, evenly spaced rows across the surface to the bread. 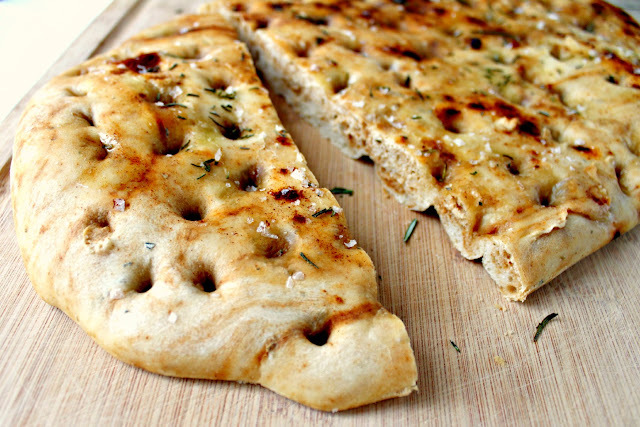 Brush the focaccia wit olive oil and sprinkle with the remaining paprika, rosemary and salt flakes. Bake for 15-20 minutes, until golden brown. The base of the loaf should sounds hollow with you tap it. 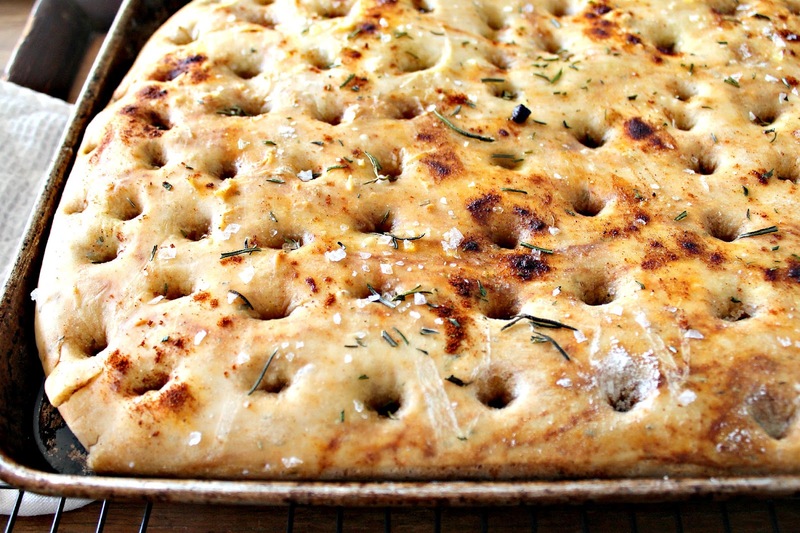 I don't blame you, this focaccia looks delicious. No one can resist freshly baked focaccia bread. I can imagine how heavenly it must have tasted with some butter on top. Yum! Thanks Muna. 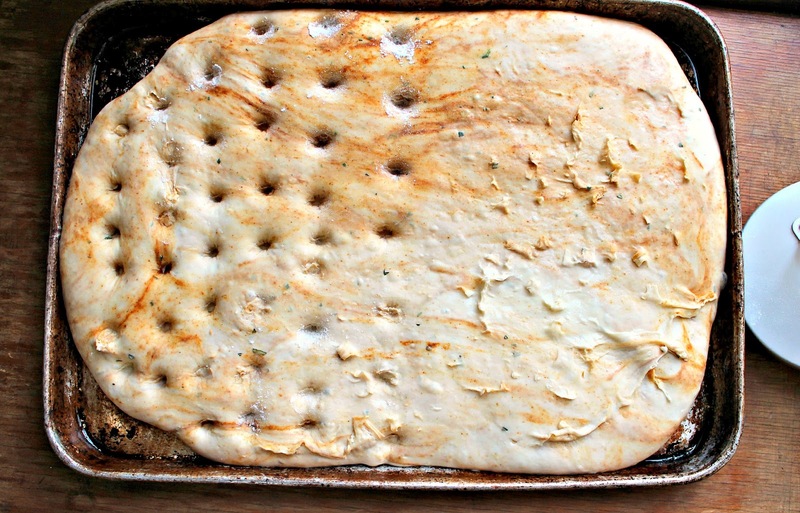 Yes, lots and lots of buttered focaccia and I only have myself to blame! LOL. Hey Gabrielle. Is smoked paprika a magical ingredient or what? Oh yeah, and there are days when I just eat cookie dough and cake batter LOL. Thank goodness I'm not alone.